Pound’s Nishikigi is ‘the most beautiful verse ever produced by an American’. 194. Rexroth, Kenneth. Letters to James Laughlin. 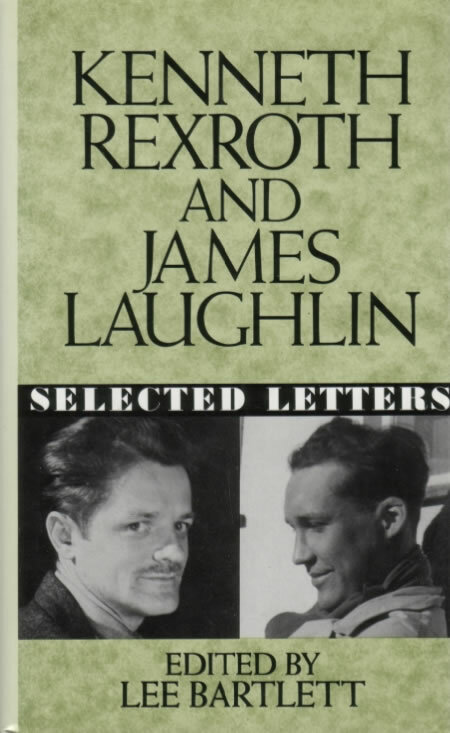 In Kenneth Rexroth and James Laughlin: Selected Letters, edited by Lee Bartlett. New York: Norton, 1991. Rexroth was not always an admirer of Pound, but in February 1945 and spring 1947 letters to Laughlin, his publisher and Pound’s at New Directions, he set aside quibbles and offered uncharacteristically fulsome praise for Pound’s version of Nishikigi (8), writing in the former letter that the work ‘is the greatest poem of “our time”’, and two years later that it is ‘the most beautiful verse ever produced by an American’.